David Nicholson is a journalist who has written extensively for publications across the globe, including the Wall Street Journal. I ran into him while he entered for one of my Camps on Mallorca. It was a great experience to meet David and watching how he kept up with the other athletes, including my Pro Diana Riesler. David wrote a very nice book: "Think like an athlete: 57 ways to achieve your life goals". Think Like An Athlete is the result of David's lifetime of admiration in the face of real sporting ability and achievement. Have fun while reading David's story! Ironman Champion or Bike mechanic? When Jo Spindler emerged from his workshop with a metal file in his hand, oily clothes, face and hands, it was hard to tell. It turns out he’s both: in pursuit of the perfect bike for his partner - fellow Ironman winner Diana Riesler - Jo was busy filing a new seat stem, determined to improve her already astonishing performances, having won IM Lanzarote and Malaysia. For me, this was an excellent sign: the restaurant manager should know how to boil an egg. And I really like the way Jo understands not just what to do, but how and why. For someone like me with a million questions, Jo is fantastic. Here is someone who had competed at the highest level, triumphed, and now tells age group athletes how to do it. I began competing in triathlons in 2013, starting at Olympic distance, then 70.3. 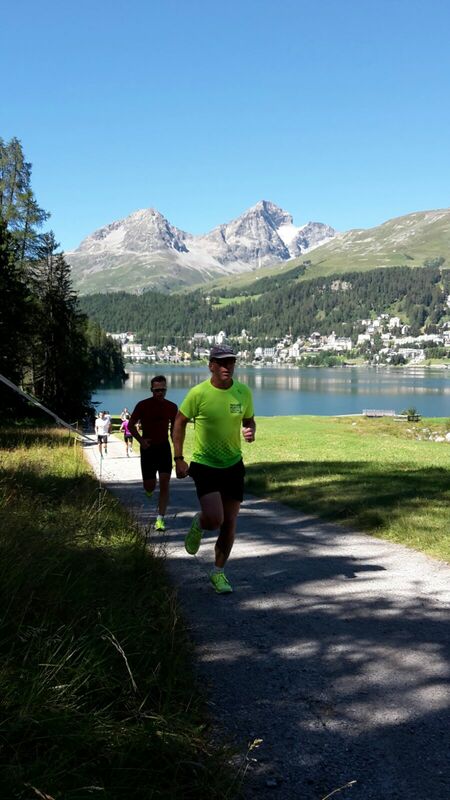 In early 2016 I was training for my first Ironman in Austria later that year. In fact I already had a coach, who sent me daily schedules, but didn’t pay much attention to any other part of my training life. I was looking for someone or something different. Training with the TriSutto group was dramatically different. The schedule was demanding, intense, fast and serious. I remember making porridge every morning, because each day felt like preparing for a 70.3 race. I would order a double espresso between sessions, to be sure I had enough energy for the next challenge. I loved it. The fellow athletes were different to those I’d met before. 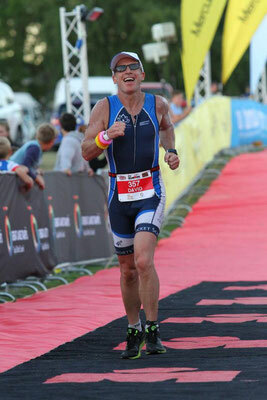 Mostly German and Swiss, several were high calibre, age group winners or Kona qualifiers. But not all. The standard was high, but there was no sense that slower athletes were less valued. Everyone was doing their best and Jo was encouraging everyone equally. On a practical level, Jo-the-bike-mechanic gave me and my Cervelo S5 a new set-up which cured my back problems and significantly increased my speed. It was like getting a new, faster bike. Riding the quiet Mallorquin lanes and spectacular mountain passes with Diana was another treat. 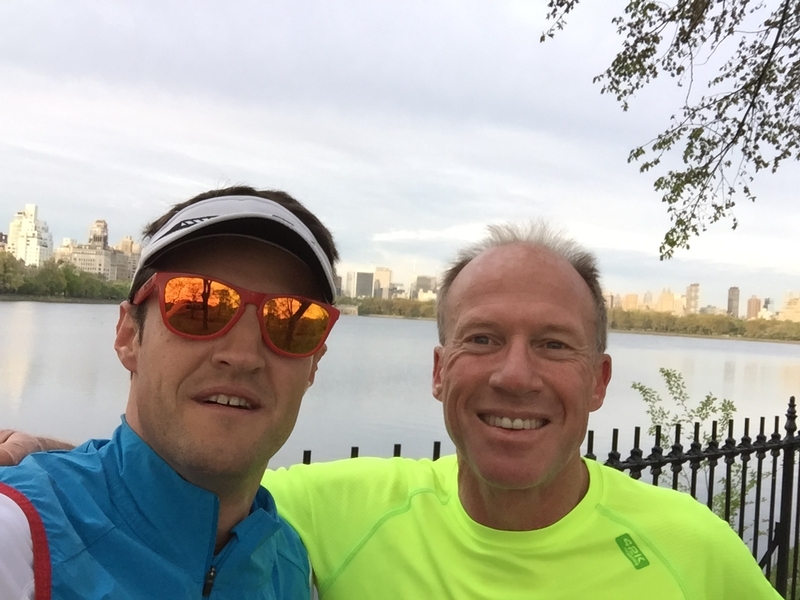 It’s always a thrill to train with an elite athlete, to see them at work and learn from them. Later that summer, after completing IM Austria, I signed up for another TriSutto camp, this time in St Moritz in Switzerland, run by the group’s founder and head coach Brett Sutton. 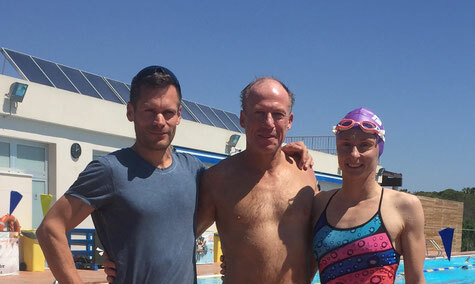 This time, there were several TriSutto coaches helping us through the sessions. Brett would make a speech about swim, bike or run training, and the other coaches would add their comments and ideas. Then we’d go off and train in the superb mountains above the town. Among the coaches was Rafal Medak, a London-based Polish triathlete who is one of the world’s best 40-45 age groupers: he’s competed at Kona for seven consecutive years and finished 22 Ironman races. Like Jo, Rafal is a great student of the sport. He has a sharp analytic mind and is always looking for smart ways to improve training, preparation and performance. 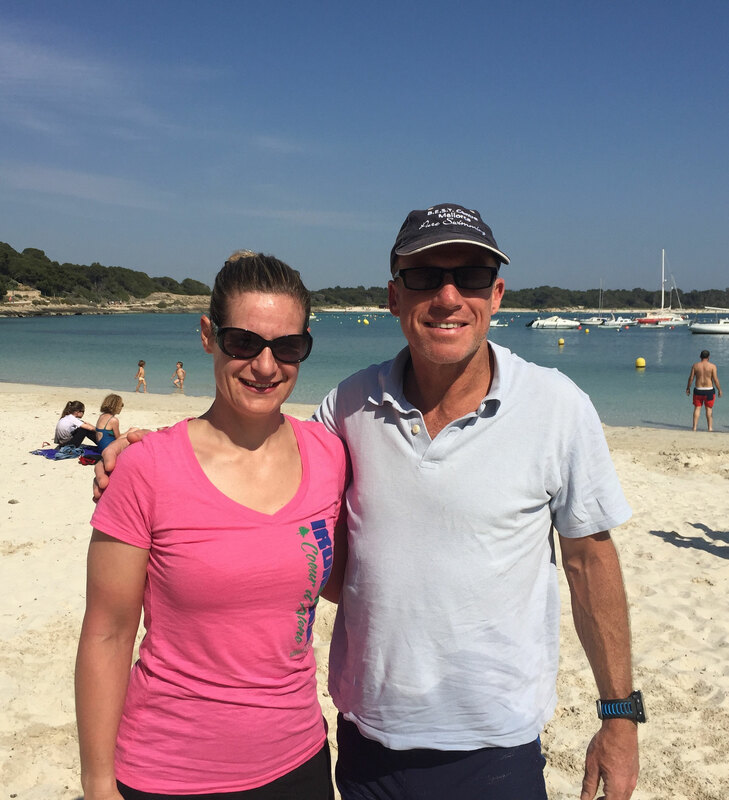 Soon after the summer camp, Rafal agreed to coach me and we’ve now had more than six months together, including an excellent result at Ironman New Zealand, where I overcame terrible swim and bike conditions to set a new PB. 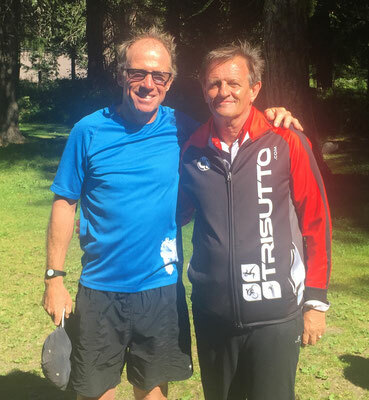 Meanwhile, some of the people I’ve met through TriSutto have become friends: Roberto and Andrea Cagnati, for example, are also crazy about the sport and love travelling to exotic locations. We’ve met in Phuket, Mallorca, New York and London, always having a run or a swim together, or competing in events. When I came back to Mallorca this April, a year after meeting Jo and Diana, it was a real pleasure to see them, to race with Diana at Porto Colom and to train with them at the BEST Centre in Colonia Sant Jordi, a few km away from their home in Felanitx. These days, Jo has shaved off his beard and I’ve not seen any oil on his hands. But his engineer’s mind and his huge passion for triathlon are as sharp as ever. Thanks for welcoming me to the TriSutto family, Jo, I’ve loved every minute.